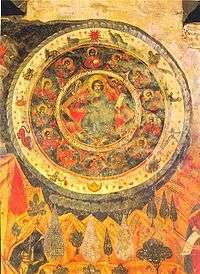 Esoteric Christianity is an ensemble of spiritual currents which regard Christianity as a mystery religion, and profess the existence and possession of certain esoteric doctrines or practices of which the public is unaware (or even to which they may be denied access) but which are understood by a small group of people. These spiritual currents share some common denominators, such as heterodox or heretical Christian theology; the canonical gospels, various apocalyptic literature, and some New Testament apocrypha as sacred texts; and disciplina arcani, a supposed oral tradition from the Twelve Apostles containing esoteric teachings of Jesus the Christ. Early Christians used the Greek word μυστήριον (mysterion) to describe the Christian Mystery. The Old Testament versions use the word mysterion as an equivalent to the Hebrew sôd, "secret" (Proverbs 20:19). In the New Testament the word mystery is applied ordinarily to the sublime revelation of the Gospel (Matthew 13:11; Colossians 2:2; 1 Timothy 3:9; 1 Corinthians 15:51), and to the Incarnation and life of the Saviour and his manifestation by the preaching of the Apostles (Romans 16:25; Ephesians 3:4; 6:19; Colossians 1:26; 4:3). The word "mysticism" is derived from the Greek μυω, meaning "to conceal", and its derivative μυστικός, mystikos, meaning 'an initiate'. In the Hellenistic world, 'mystical' referred to "secret" religious rituals. The use of the word lacked any direct references to the transcendental. 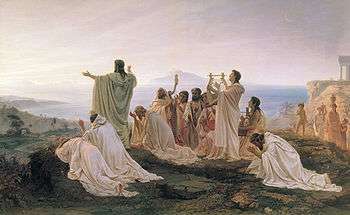 A "mystikos" was an initiate of a mystery religion. Theologians give the name mystery to revealed truths that surpass the powers of natural reason, so, in a narrow sense, the Mystery is a truth that transcends the created intellect. The impossibility of obtaining a rational comprehension of the Mystery leads to an inner or hidden way of comprehension of the Christian Mystery that is indicated by the term esoteric in Esoteric Christianity. Even though revealed and believed, the Mystery remains nevertheless obscure and veiled during the mortal life, if the deciphering of the mysteries, made possible by esotericism, does not intervene. This esoteric knowledge would allow a deep comprehension of the Christian mysteries that otherwise would remain obscure. Some modern scholars believe that in the early stages of Christianity, a nucleus of oral teachings were inherited from Palestinian and Hellenistic Judaism. In the 4th century, it was believed to form the basis of a secret oral tradition which came to be called disciplina arcani. The mainstream theologians, however, believe that it contained only liturgical details and certain other traditions which remain a part of some branches of mainstream Christianity. Important influences on Esoteric Christianity are the Christian theologians Clement of Alexandria and Origen, the leading figures of the Catechetical School of Alexandria. Origen was a most prolific writer – according to Epiphanius of Salamis, he wrote about 6,000 books – making it a difficult task to define the central core of his teachings. The original Greek text of his main theological work De Principiis only survives in fragments, while a 5th-century Latin translation was cleared of controversial teachings by Tyrannius Rufinus, making it hard for modern scholars to rebuild Origen's original thoughts. Thus, it is unclear whether reincarnation and the pre-existence of souls formed part of Origen's beliefs. While hypothetically considering a complex multiple-world transmigration scheme in De Principiis, Origen denies reincarnation in unmistakable terms in his work Against Celsus and elsewhere. Despite this apparent contradiction, most modern Esoteric Christian movements refer to Origen's writings (along with other Church Fathers and biblical passages) to validate these ideas as part of the Esoteric Christian tradition. Giovanni Pico della Mirandola's Apologia ("Apologia J. Pici Mirandolani, Concordiae comitis" published in 1489) states that there are two types of "magic", which are theurgy (divine magic), and goetia (demonic magic). 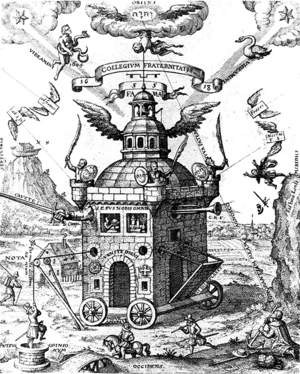 These disciplines were explained as the "Operation of the Stars", just as alchemy was the "Operation of the Sun", and astrology the "Operation of the Moon." Kabbalah was also an active discipline. These spiritual traditions allegedly aided the esoteric to arise to higher forms of consciousness, and arise to a better understanding of God, The Self, and the Universe. Esoteric Christians practice these forms or traditions, which they believe are all a part of the same spiritual truth. The latter help to convey "mystery knowledge", which can only be learned directly from spiritual experience via Theurgy, Kabbalah, or Mysticism. In the 16th and 17th centuries, this was followed by the development of Theosophy and Rosicrucianism. Behmenism also evolved around this time, as did Freemasonry. Many modern Esoteric Christian movements acknowledge reincarnation among their beliefs, as well as a complex energetic structure for the human being (such as etheric body, astral body, mental body and causal body). These movements point out the need of an inner spiritual work which will lead to the renewal of the human person according to the Pauline sense. Rudolf Steiner and Max Heindel gave several spiritual exercises in their writings to help the evolution of the follower. In the same direction are Tommaso Palamidessi's writings, which aim at developing ascetic techniques and meditations. In Bulgaria Peter Deunov opened an Esoteric Christian School, which he called School of the Universal White Brotherhood. It consisted of two classes of students and had 22 school years. George Gurdjieff called his teaching The Fourth Way—the way of conscience, whereby the student learns to work with and transform the negativity and suffering of one’s ordinary life to come to real life (“Life is real only then, when I Am.”). His one-time pupil, the Russian mathematician and esotericist P.D. Ouspensky made the term "Fourth Way" and its use central to his own teaching of the ideas of Gurdjieff. Beginning with The Fourth Dimension in 1909, Ouspensky's books synthesize esoteric Christianity with psychology, comparative religion and Eastern practises. According to all of these esoteric scholars, the ensemble of these techniques (often related with Eastern meditation practices such as chakra meditation or visualization) will lead to salvation and to the total renewal of the human being. This process usually implies the constitution of a spiritual body apt to the experience of resurrection (and therefore called, in Christian terms, spiritual body). Some Esoteric Christians today also incorporate New Age and traditional "magical" practices in their beliefs, such as Qabalah, theurgy, goetia, alchemy, astrology, and hermetism. Besant, Annie (2001). Esoteric Christianity or the Lesser Mysteries. City: Adamant Media Corporation. ISBN 978-1-4021-0029-1. 1 2 Besant, Annie (2001). Esoteric Christianity or the Lesser Mysteries. City: Adamant Media Corporation. ISBN 978-1-4021-0029-1. ↑ Wouter J. Hanegraaff, Antoine Faivre, Roelof van den Broek, Jean-Pierre Brach, Dictionary of Gnosis and Western Esotericism, Brill 2005. 1 2 G.G. Stroumsa, Hidden Wisdom: Esoteric Traditions and the Roots of Christian Mysticism, 2005. ↑ Parsons 2011, p. 3. ↑ The Catholic Encyclopedia, Volume X. Published 1911. ↑ Frommann, De Disciplina Arcani in vetere Ecclesia christiana obticuisse fertur, Jena 1833. ↑ Edwin Hatch, The Influence of Greek Ideas and Usages upon the Christian Church, London: Williams and Norgate, 1907, Lecture X. ↑ Jean Daniélou, Origen, translated by Walter Mitchell, 1955. ↑ Catholic Answers, Quotes by Church Fathers Against Reincarnation, 2004. ↑ John S. Uebersax, Early Christianity and Reincarnation: Modern Misrepresentation of Quotes by Origen, 2006. ↑ Antoine Faivre, L'ésotérisme, Paris, PUF (« Que sais-je?»), 1992. ↑ Rudolf Steiner, Christianity As Mystical Fact, Steinerbooks. ↑ Tommaso Palamidessi, The Guardians of the Thresholds and the Evolutionary Way, Archeosofica, 1978. ↑ Max Heindel, The Mystical Interpretation of Easter, Rosicrucian Fellowship.